3829 W. Owen K. Garriott Rd. Certified. 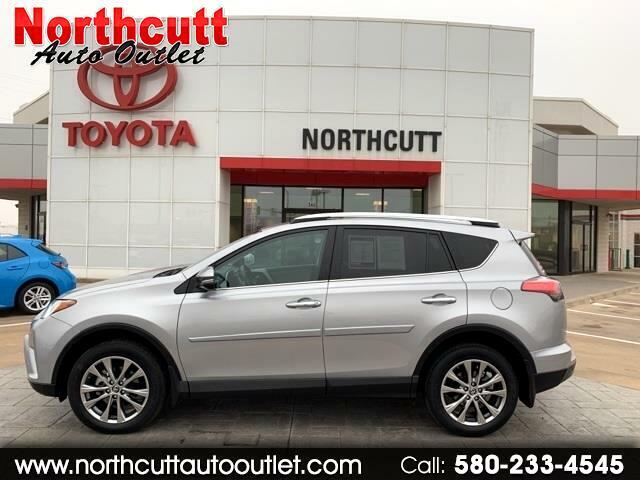 Silver Sky Metallic 2016 Toyota RAV4 Limited AWD 6-Speed Automatic 2.5L 4-Cylinder DOHC Dual VVT-i AWD. The Toyota Certified Used Vehicle Advantage ·12 month/12,000 mile Limited Comprehensive Warranty ·7 year/100,000 mile Limited Powertrain Warranty ·1 year of Roadside Assistance ·160 Point Quality Assurance Inspection ·Carfax Vehicle History Report. Visit Northcutt Auto Outlet online at www.northcuttautooutlet.com to see more pictures of this vehicle or call us at 800-279-3678 today to schedule your test drive. Message: Thought you might be interested in this 2016 Toyota RAV4.